Food snack is a common thing for humanity. We have snacks in the morning before our meal or in mid afternoon. During those times, I always have trouble thinking about what would be a healthy snacks to offer to my 3 years old. I need something healthy and good as well as the kind of snacks that kids would enjoy munching. 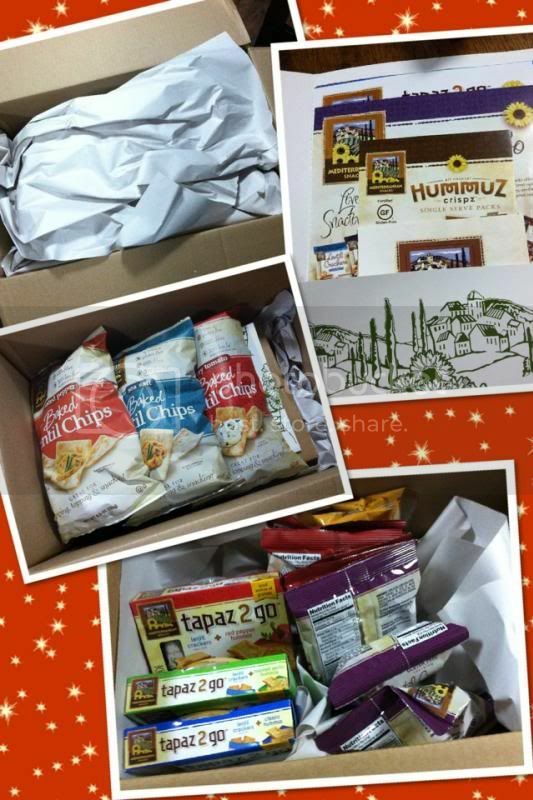 I am happy to receive an email regarding a product evaluation on Mediterranean Snacks. I was ecstatic since I know that I’ll be reviewing different kinds of flavors I have never tried eating before. I like to seek latest snacks, something that has fine flavors and nutrients. The flavors they carry are Roasted Pepper, Sea Salt, Fiery Tomato [tomato + hot chilis, with basil and garlic] these are all baked, big size 4.5 oz. All natural, Gluten Free, good source of fiber, has 70% less fat and 110 calories. 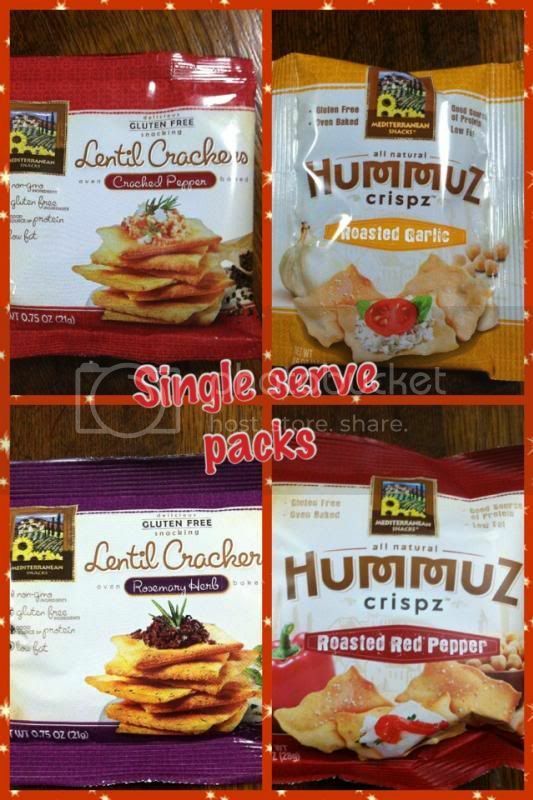 They also have Lentil Crackers, which carries Rosemary herb, cracked pepper, an oven baked, single serve pack, 0.75 Oz only. Non-GMO, crunchy, empowering flavor, good snack + the dipping sauce is amazing. I have never tried one, but this is something I’m getting and having for snacks. The Hummuz also carries Roasted Garlic and roasted red pepper only has 0.5 oz. On-the-go packaging, single serve packs, which I find it very handy. These flavors made are from real Garbanzo Beans. They too have the original line: Veggie Medley Straws, all natural popcorn and the multi grain chips. Tapaz 2 Go: with crackers + dipping sauce of your choice, single serve packs too. Got flavors of Roasted Garlic Hummus + Sea salt lentil crackers, Red Pepper Hummus + sea salt lentil crackers and Classic Hummus + sea salt lentil crackers. Every manufactured goods they carry is GF certified. 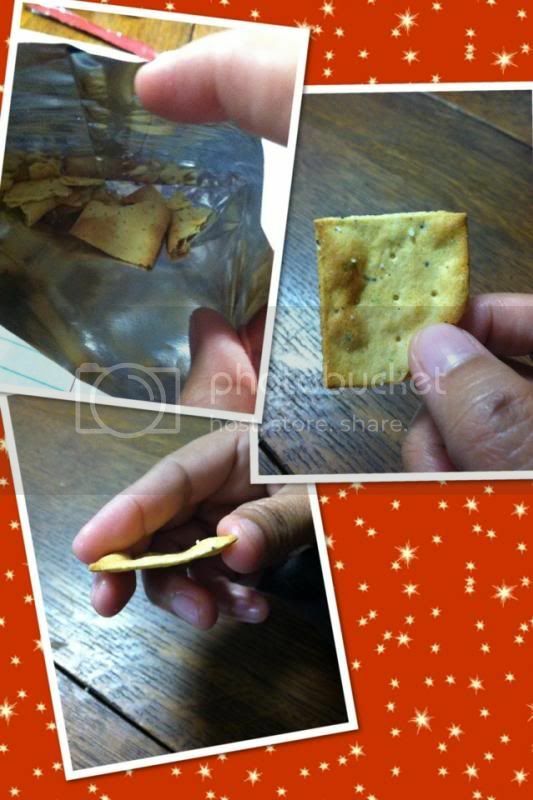 Even after I ate the crackers, I can still taste the flavor of each snack I ate. Overall, my experiences with the Mediterranean snacks are amazing: I like the healthy crackers for snacks. I can distribute it with my son without worrying a great deal. If you want to acquire online please visit the website http://www.mediterraneansnackfoods.com/ also you can follow them on Facebook https://www.facebook.com/MediterraneanSnackFoods, Twitter https://twitter.com/medsnax, and Pinterest http://pinterest.com/medsnacks/. Be the earliest to hear the fresh products in the marketplace. Check here for the store locator to see where can you buy in your area or online at Amazon. A disclaimer: This is not a sponsored post. I received the item for free in exchange of my honesty review. The outlook I expressed is 100% exclusively mine. Love single serve snacks especially if they are healthy! Those look yummy and a variety of flavors! I love their snacks, the lentil crackers with my hummus dip is my favorite snack. I really like their snacks they are super crunchy and tasty! Me and the kids love these! that look yum. i love hummus. i wanna try this. I love crackers esp nowadays i am fond of Organic product.